TekSynap under the direction of GDIT provides IT services for the Pentagon Force Protection Agency (PFPA). 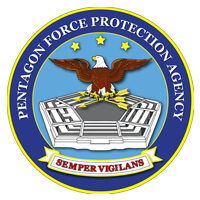 PFPA’s mission is to provide force protection, security, and law enforcement, as required for the people, facilities, infrastructure and other resources at the Pentagon Reservation and for Department of Defense (DoD) activities and DoD-occupied facilities not under the jurisdiction of a Military Department within the National Capital Region (NCR). We support approximately 1,000 users with Pentagon Force Protection Agency Security Integration and Technology Support (PSITS) services. As such, PFPA obtains an efficient and continuously improved security information technology (IT) infrastructure that most effectively meets their business mission and strategic goals while ensuring compliance with all applicable Federal laws, DoD regulations and PFPA security and force protection policies and procedures. TekSynap assists GDIT with facilitating transitions to new mission systems as new technologies are introduced into the PFPA security infrastructure, as well as to operate, maintain, secure and sustain the PFPA mission systems.